I love trying cases. It never gets old. The challenge, the human dynamic, the pressure, the hard work and effort, the novelty of each case. I really can’t imagine doing anything else. A significant portion of Mr. North’s practice is devoted to the defense of catastrophic injury and other high exposure cases in the areas of negligence, public entity liability, construction, and professional liability, including the defense of attorneys, accountants and insurance brokers. 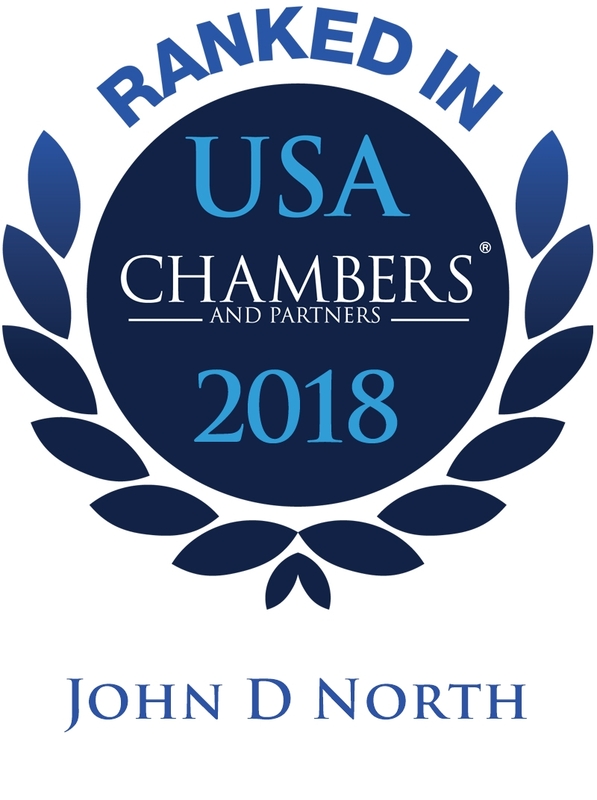 Mr. North’s practice also concentrates in commercial and banking litigation, particularly in matters involving negotiable instruments and financial fraud. Mr. North has represented banks in class actions alleging claims under New Jersey and federal consumer legislation. Mr. North also maintains a personal injury practice limited to the representation of plaintiffs in medical malpractice and other cases involving significant injuries and complex liability issues. Mr. North is the author of the evidence treatise A Trial Lawyer’s Strategic Guide to the New Jersey Rules of Evidence, and is the only New Jersey lawyer selected as a principal author of Business and Commercial Litigation in Federal Courts, contributing the chapter in the treatise devoted to Medical Malpractice. He has lectured throughout the state on evidence and trial practice.